*Our search function is undergoing some maintenance and is temporarily unavailable. We apologize for any inconvenience. Please check back a little later. MISS Foundation Support Groups, Volunteers and our Compassionate Bereavement Care® Providers are listed below. You can zoom in on the map to view both types, or use the drop-downs to narrow down your search by Support Group or Provider, and by geographic location. Masters student in the School of Community Resources and Development studying the impacts of one’s connection to the Selah House Care Farm and Respite Center. I’m interested in understanding how such an experience contributes to a sense of community. I am a licensed clinical social worker and also a certificated school psychologist. Over the past twenty plus years I have worked as a psychotherapist (in a variety of settings), a school psychologist, a school counselor, and a medical social worker (with a home health care agency). I am a child life specialist in the pediatric hematology/oncology department at Kaiser Permanente Oakland Medical Center. Provide services to Catastrophic accident victims with majority having Traumatic Brain injuries, Complex PTSD/grief and loss challenges – multiple losses including loved ones as a result of accident. I work at Casa de los Ninos. I do therapy and assessments for kids and their families. Casa provides therapy, case management, psychiatric services, groups and support. Therapist at Hendrix College. 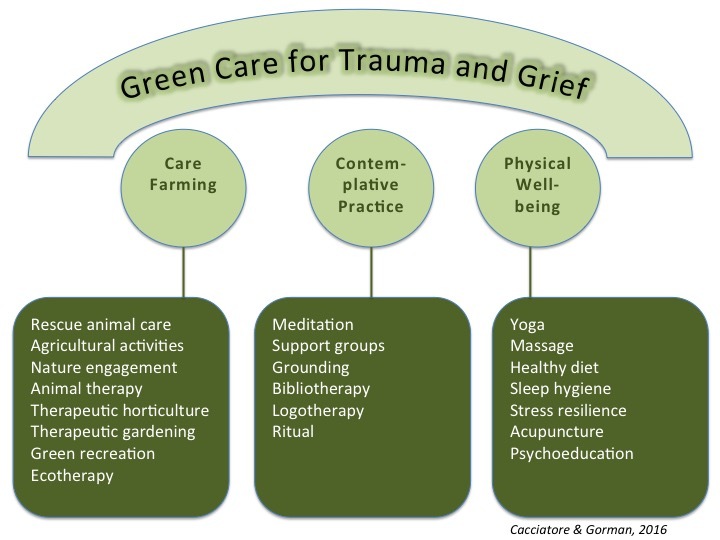 Also part-time trauma and loss private practice. Through my church, I’d like to be able to help with the grief support classes held a few times per year. I am not a social worker but would like to find some way to help people in their grief process. Provides music therapy services to patients and families as part of the clinical hospice team. I provide coaching and support to people going through transition. I volunteer for hospice and I want to be a bereavement counselor for people in hospice and their family members. Non-profit Home Health, Hospice and Palliative Care for a rural community. I work as a palliative care nurse at John Muir Hospital in Walnut Creek CA and Concord, CA. We also see patients in Skilled Nursing Facilities. We conduct patient/family meetings to discuss goals of medical care, discuss prognosis and end of life care options. A Path Ahead Grief Support—provide individual and group grief support for those in their 20s, 30s and 40s. Groups include Young Adult Grief Support Group, Young Widow/Widowers Grief Support Group and Grief After a Loved One’s Overdose Death.